Tried this on a whim and it turned out pretty good. Combine the first nine ingredients in a saucepan and bring to a boil. Reduce heat and simmer for about 5 minutes. 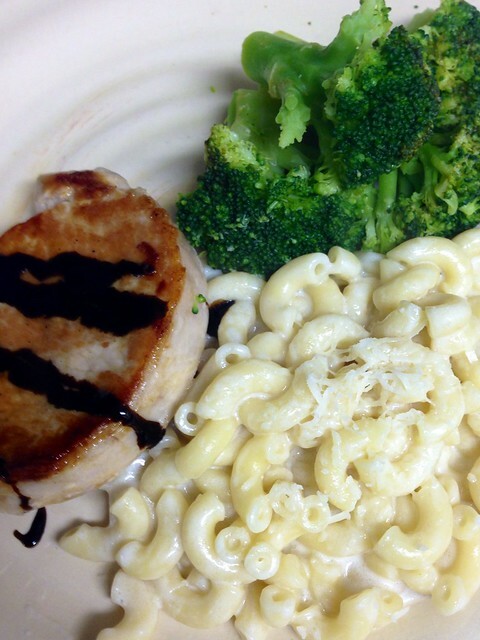 Place pork chops on a pan and baste the chops with a few ladles of the sauce. Broil for about 4 minutes each side; about 4 inches from the heat. Turn pork chops over and baste again. Serve with reserved sauce. 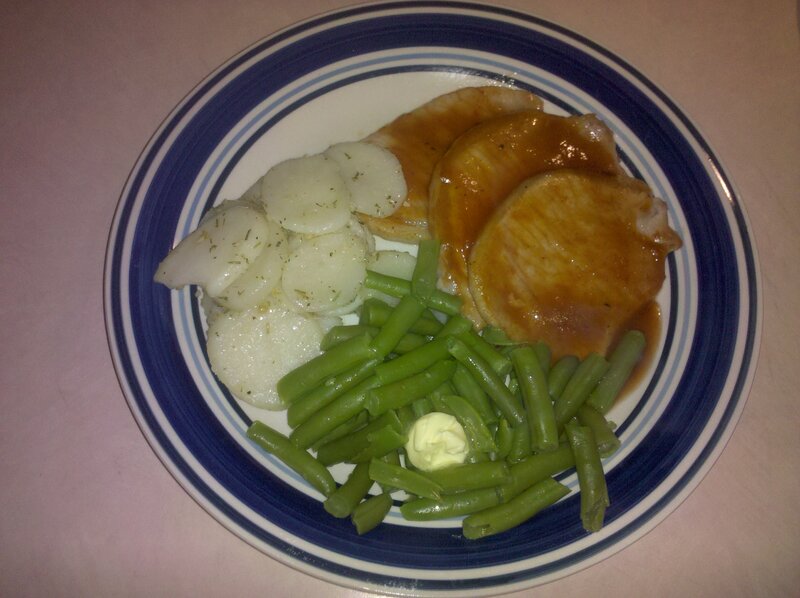 I made some slide white potatoes with my rosemary and garlic seasoning and green beans. Delish!